We give a generic construction of an optimal hitting set generator (HSG) from any good “reconstructive” disperser. Past constructions of optimal HSGs have been based on such disperser constructions, but have had to modify the construction in a complicated way to meet the stringent efficiency requirements of HSGs. The construction in this paper uses existing disperser constructions with the “easiest” parameter setting in a black-box fashion to give new constructions of optimal HSGs without any additional complications. 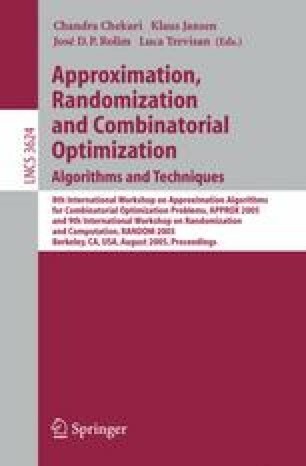 Our results show that a straightforward composition of the Nisan-Wigderson pseudorandom generator that is similar to the composition in works by Impagliazzo, Shaltiel and Wigderson in fact yields optimal HSGs (in contrast to the “near-optimal” HSGs constructed in those works). Our results also give optimal HSGs that do not use any form of hardness amplification or implicit list-decoding – like Trevisan’s extractor, the only ingredients are combinatorial designs and any good list-decodable error-correcting code.